During its active stage, the star spews tonnes of plasma that can disrupt satellites and power grids. Is the world ready to protect itself? ON FEBRUARY 13, the sun unleashed a massive solar flare. Three more followed on March 7, 9 and 19. Flares originate from sunspots—areas on the sun’s surface that have high magnetic activity. These flares and other activities of the sun throw ionised gases or plasma towards the earth. The plasma has an electromagnetic field which, when interacts with the earth’s magnetic field, gives rise to a solar storm. Being the largest explosion in the solar system, a storm releases as much energy as a thousand billion atom bombs bursting together. It can knock out satellites affecting telecommunication; power grids causing blackouts; and disturb transport and finance systems. The sun’s magnetic activity goes up and down on a fairly regular 11 year cycle. The highs are full of sunspots, the lows see less or no sunspots. At present, the sun is in the midst of an active phase of a solar cycle. This cycle is called the solar cycle 24 counting since 1755 when recording of solar sunspot activity began. According to scientific data, many solar storms are expected in the near future since the current cycle is reaching its peak. In August 2010, the first storm of the solar cycle 24 occurred. Before this, a storm happened in December 2006. The good thing is, these episodes did not cause much destruction. 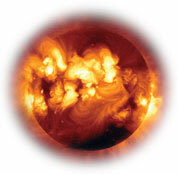 The intensity of a solar storm depends on the direction of the plasma’s electromagnetic field. If it is parallel to the earth’s magnetic field, the charged particles cannot affect it. The bad thing is, a massive solar storm can cause mayhem. The recent Japan nuclear crisis, for instance, showed how power outages can affect functioning of a nuclear power plant. The storms result in huge monetary losses too. A storm in January 1994 affected Canada’s two telecommunication satellites. The first satellite recovered in a few hours but nearly US $50 million was spent to repair the second one. Airlines in the US had to alter their high latitude routes because a solar storm in October 2003 had affected high frequency communication in the country. The rerouted flights cost airline firms about US $100,000 per flight. The firms suffered similar losses during the January 2005 storm. A February 14, 2011 solar storm was mild but affected China’s shortwave radiocommunication system. The loss is expected to be more now since the world is more dependent on satellites and telecommunication. Installation of shields to satellites and transmission lines can prevent damage from solar storms. Better monitoring of flares is also an option as satellites and grids can be shut down before a solar storm to minimise damage. The US federal agency National Oceanic and Atmospheric Administration can predict occurrence of a solar storm one to three days before. On February 6, 2011, NASA launched two spacecraft to enable constant imaging of the full solar sphere for the next eight years. It has also asked the US government for $622.3 million to study space weather for 2012. 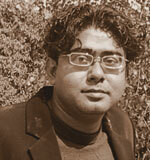 But India is relatively safe from the sun’s fury as it lies in the equatorial region where solar storms do not reach. In India the sun is studied only for research purposes, says P K Manoharan, head of Tata Institute of Fundamental Research’s radio astronomy centre in Udhagamandalam, Tamil Nadu. Technologies to counter radiations in ground-based systems are not needed, but Indian satellites could be at risk. “Exposure to flares reduces a satellite’s life as it has to move against the wind,” he says. The most described solar storm in world’s history occurred in 1859. On September 2 that year, an incredible storm of charged particles sent by the sun slammed into the earth’s atmosphere, causing havoc on the ground. Telegraph wires were suddenly disrupted in the US and Europe. 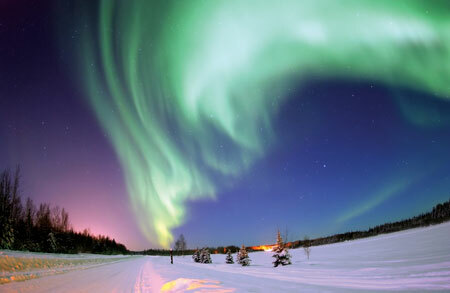 Colourful aurora, normally visible only in polar regions, was seen as far south as Cuba. A day before the storm British amateur astronomer Richard Carrington observed an outburst of “two patches of intensely bright and white light” from a large and complex group of sunspots near the centre of the sun’s disk. The storm of 1859 is called the Carrington event. Many newspapers run extensive stories on the event, especially its effect on communication. Does India have a space weather monitoring programme? Are we monitoring solar storms? Yes, the Regional Warning Center at the National Physical Laboratory in New Delhi does this. However, it does not have a facility where forecasts of space weather can be generated. For this, one needs to run computer models of the space environment stretching from the sun to the earth. We are in the process of developing such a technology. In this direction, the Ministry of Human Resource Development has funded the Center for Computational Space Sciences, at the Indian Institute of Science Education and Research in Kolkata. The objective of this centre would be to develop and provide tools for space weather forecasting within India. I am leading this. Is there a need to monitor space weather since solar storms do not affect tropical countries? There is a need. Such storms are threat for satellites and we are dependent on space-based technologies, including telecommunications and GPS navigation. Airlines in India fly close to polar regions and are subject to space weather. They need forecasts for planning and scheduling. How does your study help in being prepared for solar storms? It explained long absence of sunspots and solar storms. Between 2008 and 2009 few sunspots were seen on the sun. Plasma flowing deep inside the sun interfered with the formation of sunspots, prolonging the period which saw less number of flares. For the study, we built a computer model of the sun’s activity. Having achieved this, we can now refine our model to forecast solar activity.